Anyone who knows me knows that I don’t do ‘religion’ or church of any description. However, I have to say being in Spain for Holy Week (Semana Santa) has been moving and inspiring. 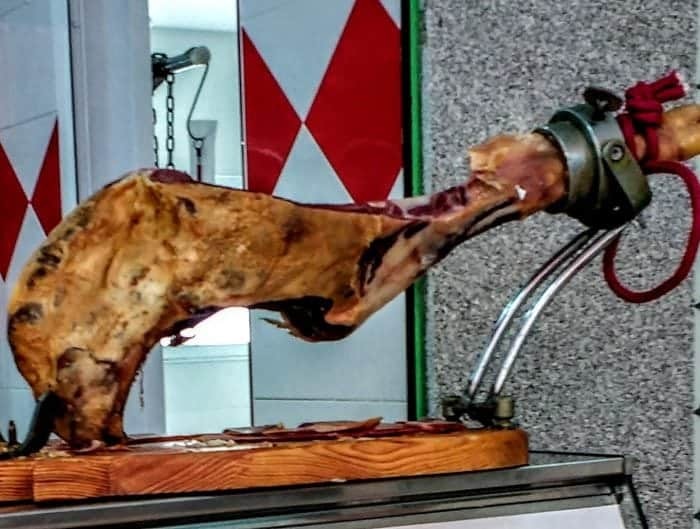 Semana Santa is the biggest religious celebration of the year in Spain, which means lots of folks on holiday, plenty of eating and drinking and many processions. In Salobreña, which is a small Andalusian village on the Costa Tropical, Semana Santa is a joy to watch and celebrate. 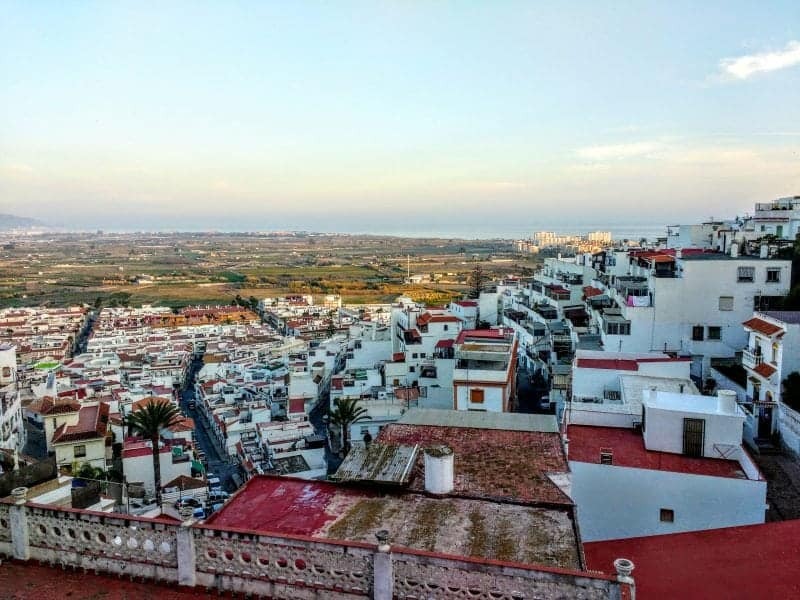 The history of Salobreña dates back over 6000 years, with the Mediterranean sea in front of it and the Sierra Nevadas to the back, surrounded by sugar cane fields Salobreña has been a Spanish holiday village for many years. 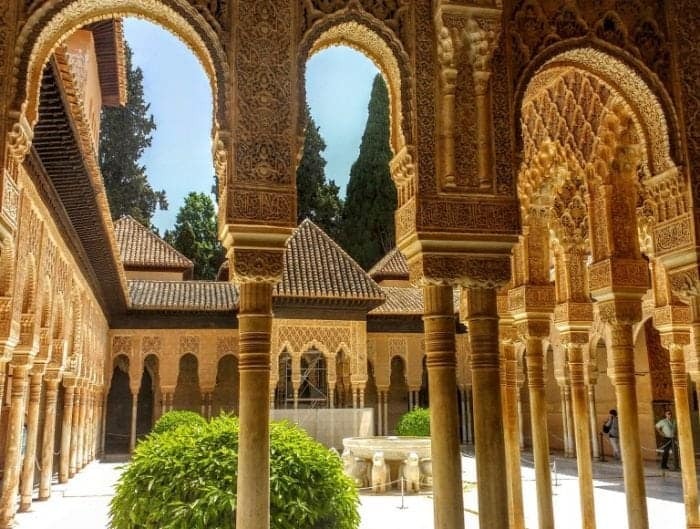 Its Moorish castle was built in the 10th century, and its Mudejar 16th-century church, Iglesia de Nuestra Señora del Rosario is built on top of the old mosque. Roman ruins and archaeological finds turn up everywhere. Salobreña is a village that is either uphill or downhill there is nothing in between until you get to the playa or beach. The Semana Santa processions must wind their way through some incredibly narrow streets as you can see from the photos. Often accompanied by a man with a metal pole to hold up the wires that might impede the passage of the ‘tronos’ as they pass by. The censers carried by the penitents waft sweet-scented smoke across the narrow streets and the air is full of the perfume of lilies. The parades take an average of 4 hours to traverse the hills and narrow streets of Salobrena. Imagine carrying a ‘Trono’s weighing literally a few thousand kilos on your shoulders while marching for over 4 hours. 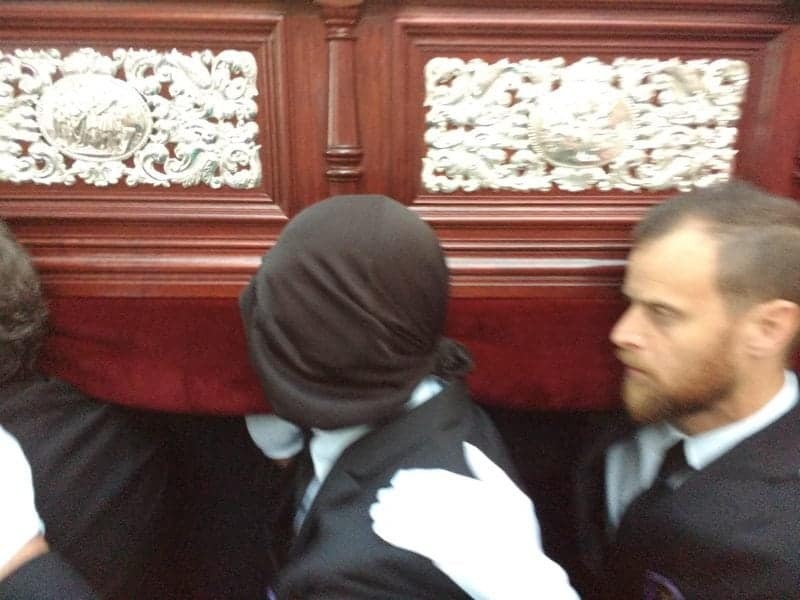 Often you will see members of the Cofradia wearing blindfolds while carrying the floats. These are used to signify that the person is making an extra sacrifice to carry the ‘Trono’ and ask God for special favours (but not for themselves). In most Easter processions, participants carry large floats or pasos. Pasos generally have more than one figure depicted on them, for example, there are pasos with a full replica of the last supper. The ‘tronos’ tend to be thrones for one figure such as Christ or his Mother Mary. The floats are festooned with flowers and candles and are the focal point of the procession. Many brotherhoods have owned and preserved their pasos for hundreds of years. These floats are decorated with hundreds of candles and masses of beautiful lilies. The air is perfumed with incense from the censers and the flowers decorating the ‘tronos’. 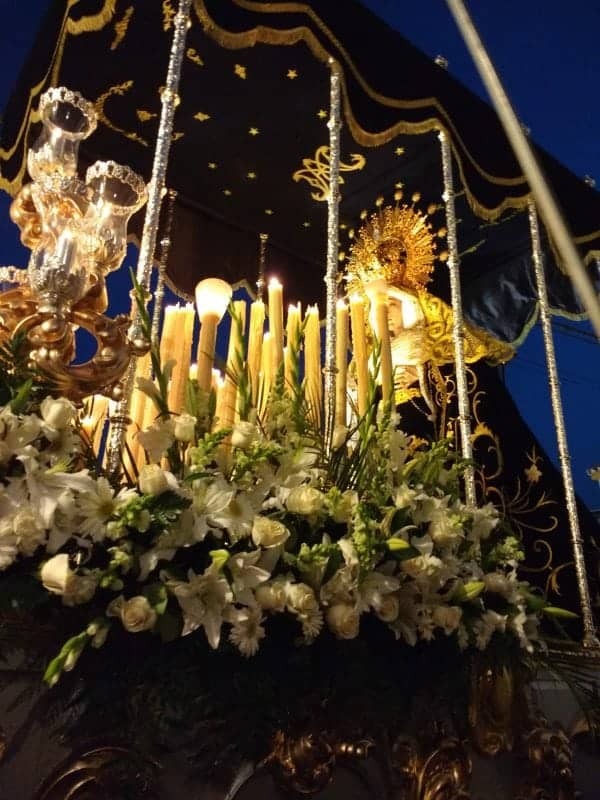 During Semana Santa, elaborate and sombre processions take place throughout the week culminating in the silent Procession of the Virgin of the Solitude. The tronos (throne or float) of the Virgin, depicts the Mother of Christ in deep mourning with no fancy adornment or jewels. This procession is strictly for women, they carry the tronos and walk the streets in silence which is incredibly moving. 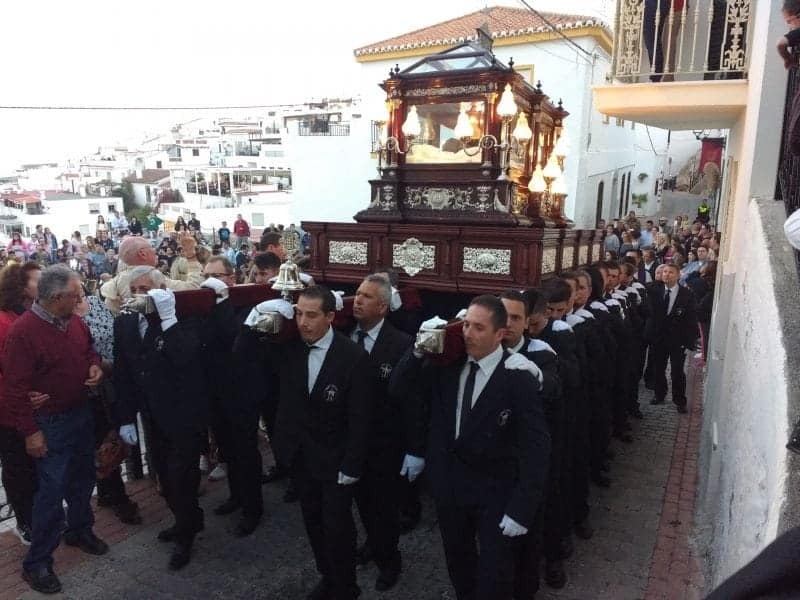 Before the Procession of the Virgin of the Solitude, there is the Procession of the Cofradía del Santo Sepulcro y Cofradia de Maria de Los Dolores y Cofradia San Juan Evangelista. 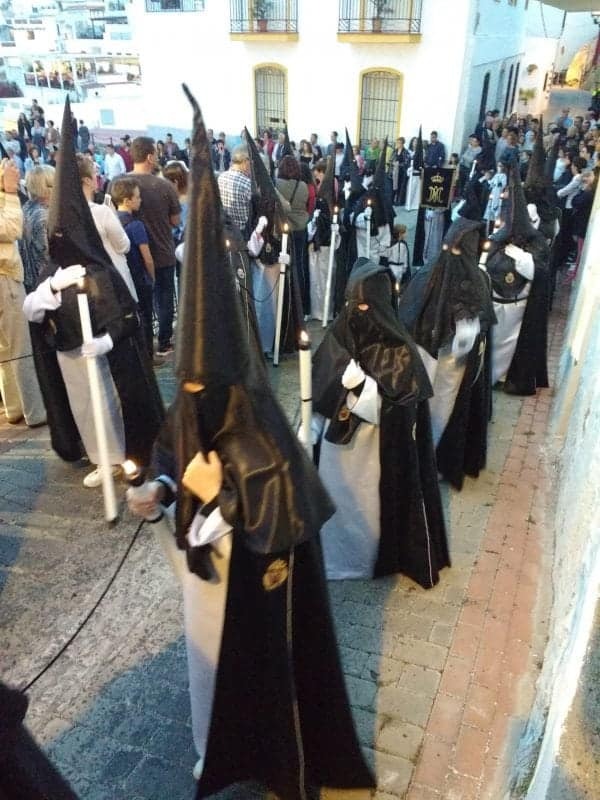 These ‘brotherhoods’ or Cofradias (whose members take part in the processions) are a historic tradition in Spain, with many dating back to the Middle Ages. 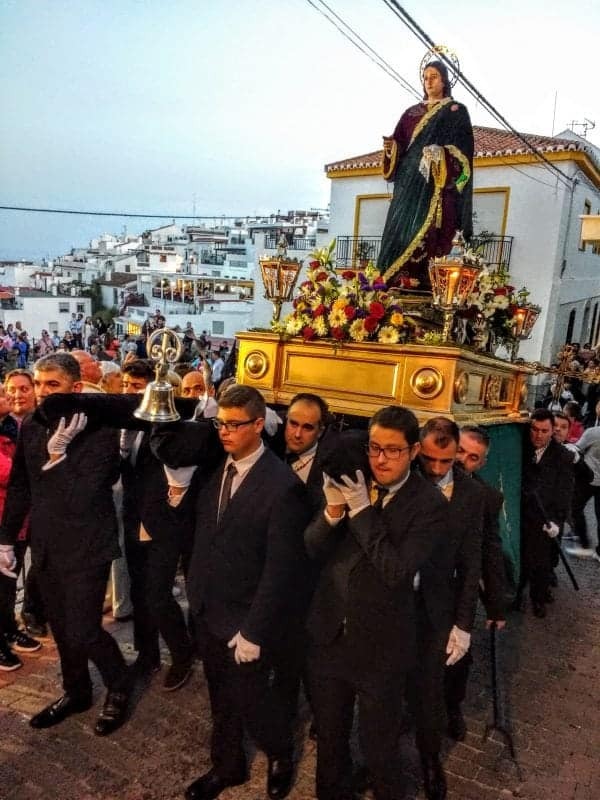 Semana Santa processions are also known as ‘penance processions’ and involve members of the brotherhood (nazarenos) parading from their church to the city’s cathedral. 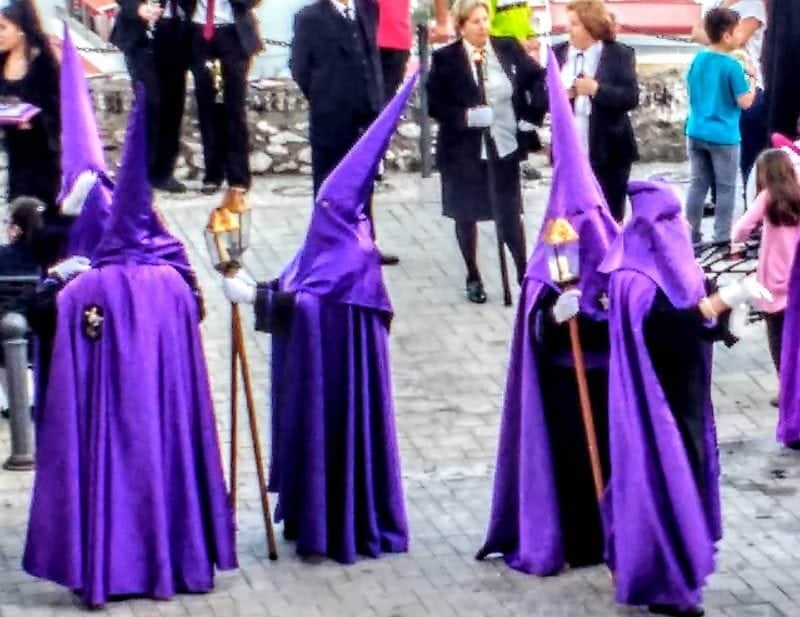 The citizens taking part in Semana Santa processions are called penitents and they dress in the traditional capirote which is a tall conical hat that is believed to bring the wearer closer to god (in no way shape or form related to the KKK usage in the USA). The capirote traditionally covers the face and is worn with a robe and cape, usually in the colours of the Cofradia the penitents adhere to. 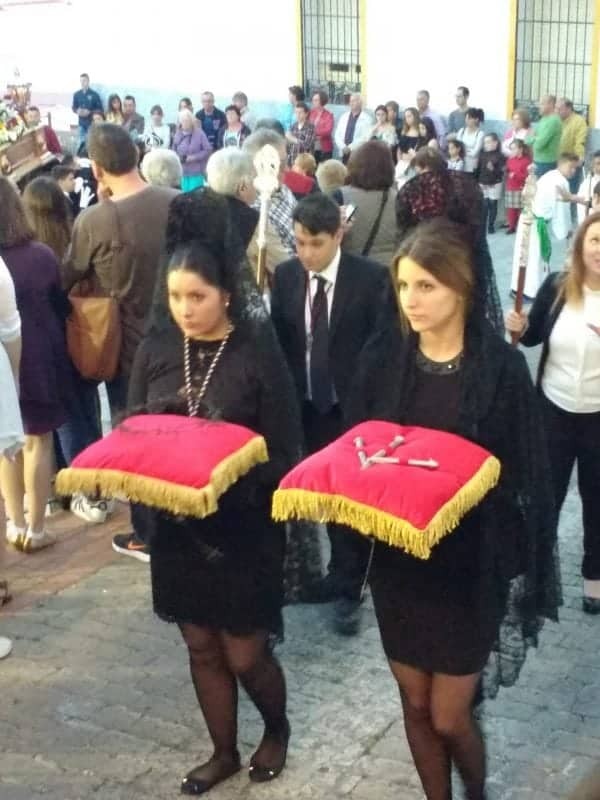 Capirotes used to be reserved for people doing penance: as a sign of atoning their sins, they would walk through the town wearing the hat, their faces covered so they could not be recognized as sinners. 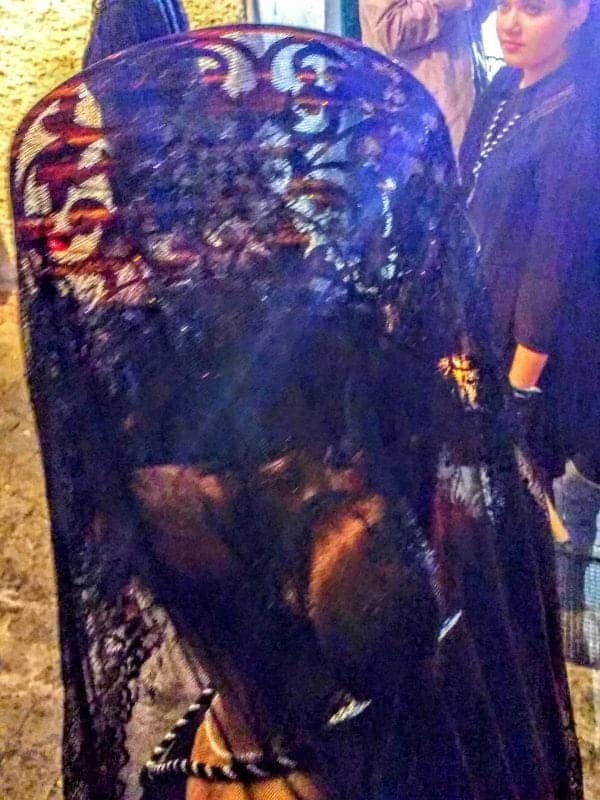 Women often wear the mantilla, a black lace veil worn high on the back of the head. 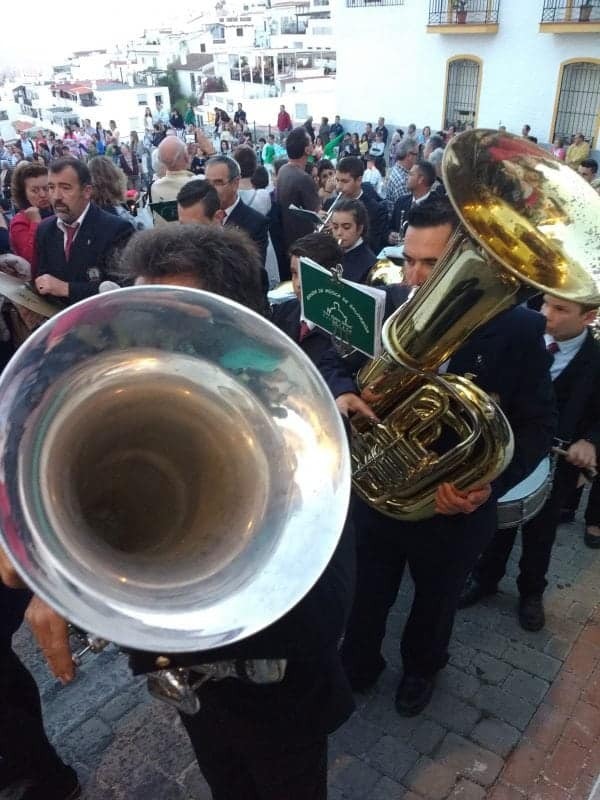 Music is a hugely important part in Semana Santa processions – most are accompanied by live marching bands that play religious music, and there is also the ‘saeta’. 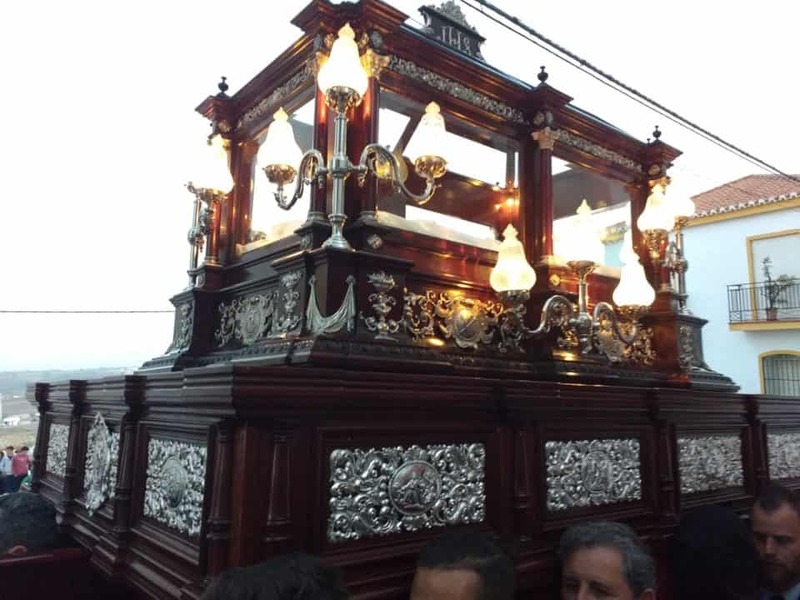 You can learn more about the history and customs behind Semana Santa in Andalucia here. 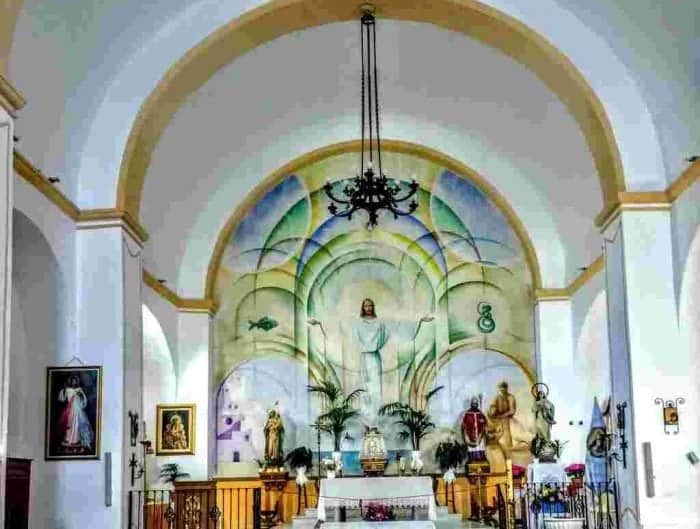 The saeta is a very old traditional Spanish religious song. The Spanish word saeta has different meanings -“arrow“, “bud of a vine”, “hand of a clock” or “magnetic needle”. Since the 19th-century saetas include elements of flamenco. 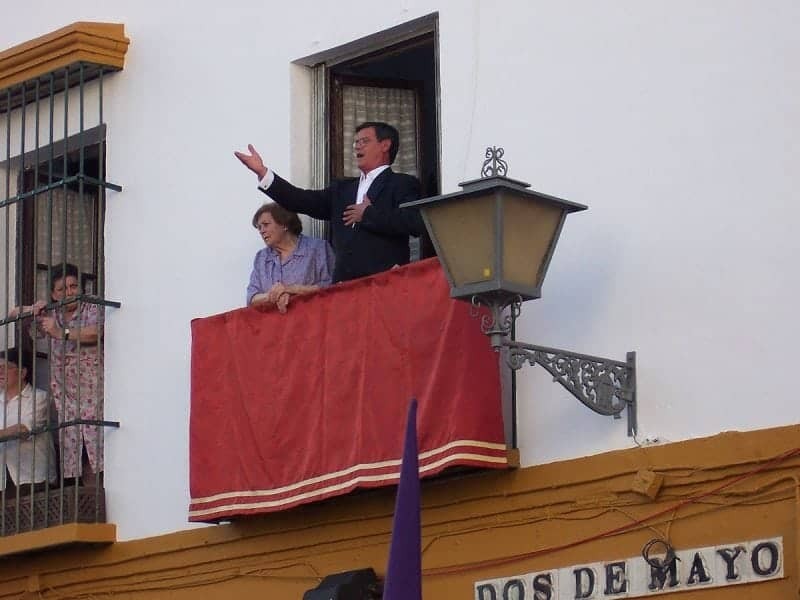 During the procession, a saetero usually sings from one of the balconies along the road. What celebrations around the world have you been moved and inspired by?